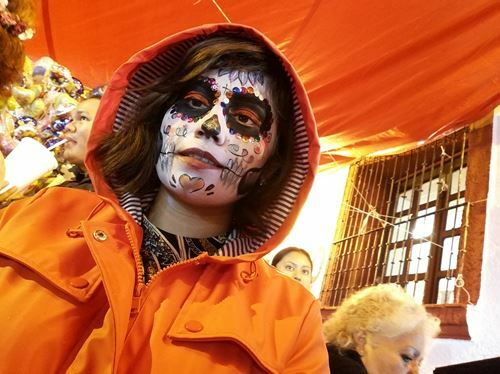 There are many ways to witness the Day of the Dead festivities. One is to see through the eyes of the city, through the eyes of the families in the cemetery and in small towns. The city at best was a carnivalesque atmosphere, with pageantry and joviality. The families that gathered around beautifully decorated tombstones offered a quieter perspective of the celebration. It was done with neither pageantry nor joviality. 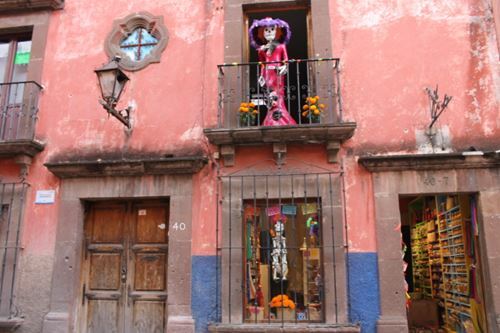 Small towns such as the colonial San Miguel de Allende provided a rather relaxed atmosphere. One familiar thing in all three environments was the use of marigold flower. Marigold flower was seen everywhere when I arrived in late October. The splash of yellow brightened the city, bringing a Spring-like atmosphere all around. At night time, the illuminating yellow flower was a guiding path, leading the dead from the graveyard to the homes. In San Miguel de Allende and Puebla, marigold was used to decorate the door frames and monuments that dotted around the plaza. 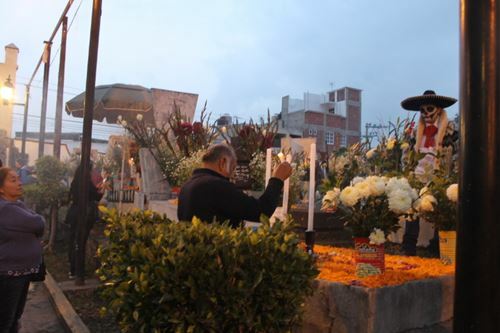 Preparation for the Day of the Dead was evident in the city. 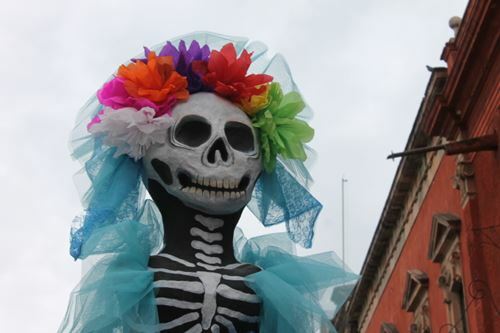 Colourful statues of La Catrina greeted visitors everywhere, with marigold flowers adorning their necks. I saw them in the pedestrianised areas, parks, islands between the main roads and near important monuments. Chocolate skull candies lined up against the window of the bakeries, enticing the locals and tourists to buy them. Pan de muerte, a sweet bread is very popular around this time and locals either buy them or bake them. Zocalo, the scene from James Bond’s Spectre, was the epicentre of celebration. The square played host to array of parades and festivities. Families huddled around the food stalls, little kids running around in their face paints with glow sticks in their hands and music being heard from big loud speakers in the square. Dressed up folks allowed tourists to take photos with them, with some charging a fee. In the evenings, the city centre hosted a galaxy of entertainment. 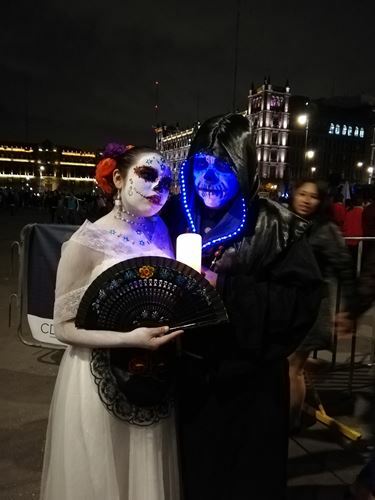 I witnessed a large group of drummers dressed in skeleton outfits, marching their way to Zocalo, much to the delight of pedestrians who whipped out their mobile phones to capture the moment. 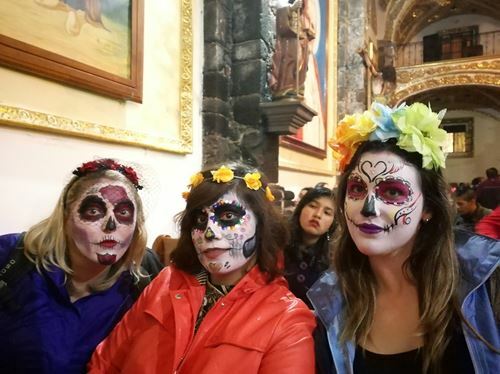 In San Miguel de Allende, a lot of women wore flower headbands, like Lana del Rey from her Born to die video. 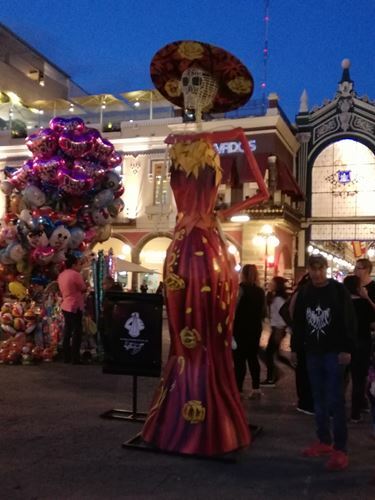 In Puebla, little children walked around in their “Halloween” outfits and pumpkin shaped buckets collecting money and candies. 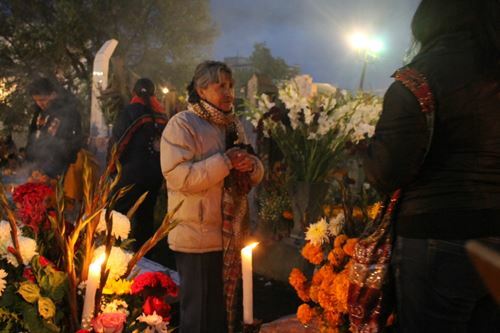 On the final night of the Day of the Dead, I visited Mixquic, a cemetery on the outskirts of Mexico City. 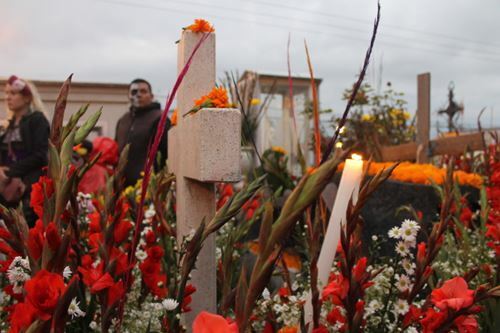 The tombstones were heavily decorated with marigold, candles, and photographs of the deceased. The smell of incense lingered strongly in the air. By the graves, families ignored the tourists who were all over the place. I did feel at times I was invading their privacy with a camera in hand. I felt, what would have been the right etiquette in the city centre was not the right etiquette here. In hindsight I would have been more respectful and put away the camera. 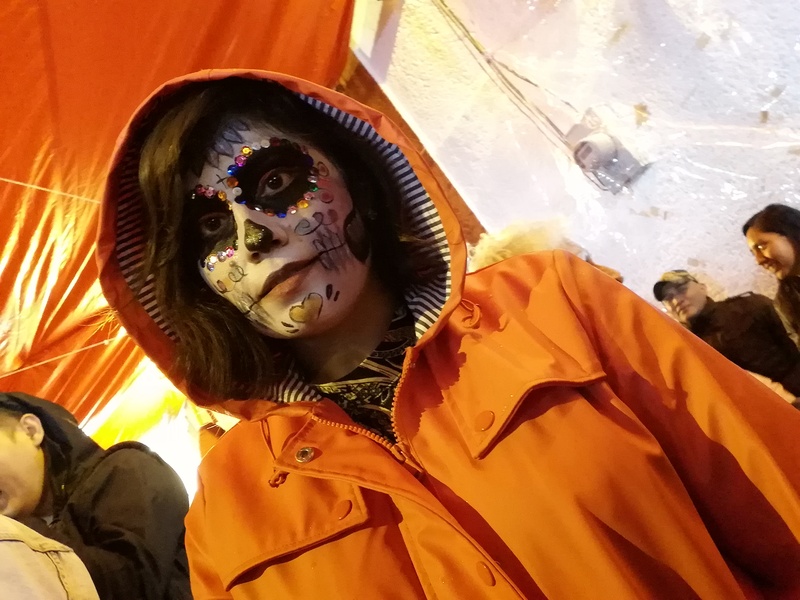 Outside of the cemetery, there were endless food stalls, games arcades, face painting areas and a concert. 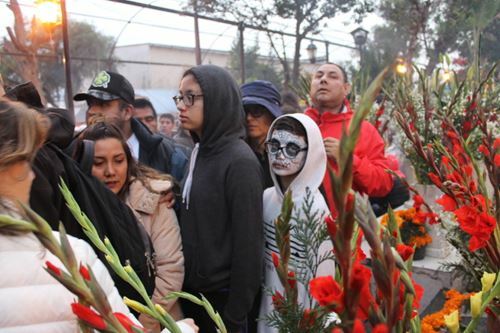 It showed me that Day of the Dead isn’t a sombre affair, but one of celebration. 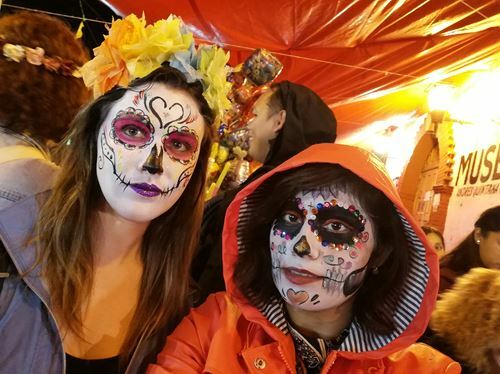 Day of the Dead is a unique celebration of life and death. 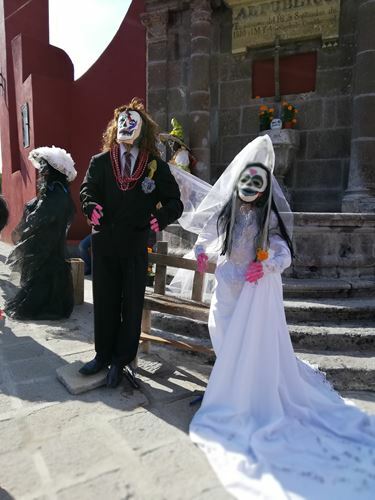 As an outsider you might think decorated skulls placed around the ofrendas or people wearing skeleton face paint a little morbid, but it actually isn’t. 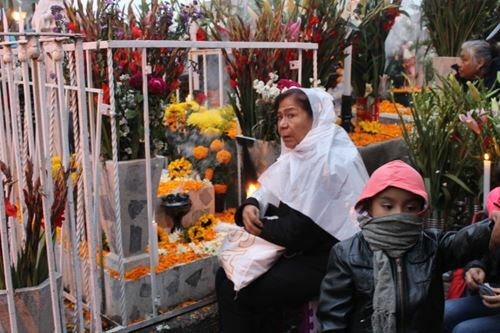 It is a celebration of life and death that reminds people to remember the dead. I will leave you with this beautiful quote, picked up from an anonymous writer.